About Us | All American Foods, Inc.
Headquartered on a 14 acre corporate campus in Mankato, Minnesota, All American Foods, Inc. manufactures over 100 dairy and non-dairy food ingredients for human consumption. Our Pro Mix® line of ingredients offer cheese powders and cheese flavorings, dried cultured ingredients, high fat powders, dried flavoring ingredients, egg replacement powders, and replacers and substitutes for nonfat dry milk powder, dry buttermilk powder and dry whole milk powder. 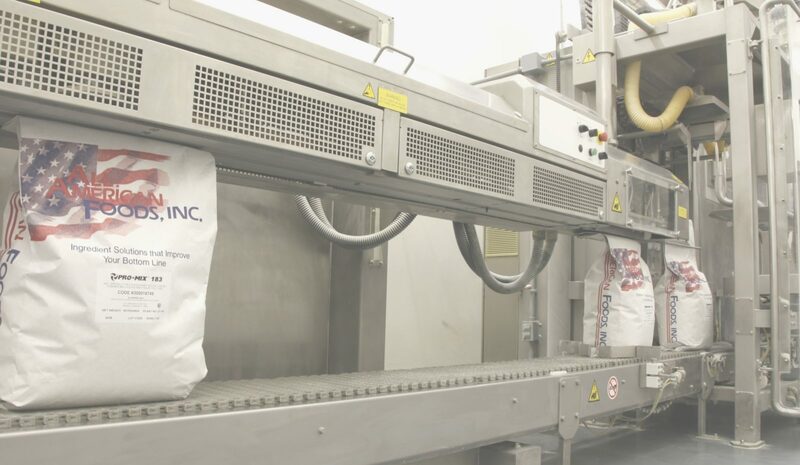 Our four, state-of-the-art, SQF certified manufacturing facilities produce our Pro Mix® line of functional ingredients, which are used in a wide range of applications such as snack foods, soups and sauces, dressing and dips, entrees, flavor applications, confectionery, potatoes and bakery and are distributed throughout the United States. Our Pro Mix® ingredients incorporate only the nutrients and functional attributes essential to your application so you can save money, without sacrificing quality. This approach is responsible for offering some of the largest food manufacturers in the world, the “Pro Mix® Advantage”. All American Foods also provides custom toll processing and packaging services. For over a quarter of a century, All American Foods has provided “Ingredient Solutions That Improve Your Bottom Line”. CONTACT US SO YOU TOO CAN DISCOVER THE PRO MIX® ADVANTAGE.